South London snowperson at your service! 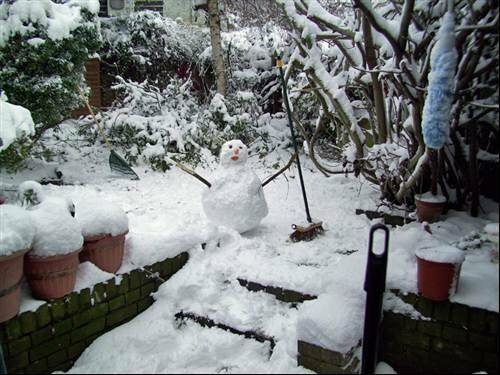 This South London snowperson spotted by reporter Karl Flinders is ready to sweep the stairs clear, thus ensuring the safety of the householders. Heavy snowfalls have caused travel disruption across much of Britain, keeping many people away from the office. In greater London, where Computer Weekly is based, we've been experiencing the heaviest snow to fall for 18 years. Computer Weekly staff have been snapping the snowy scenes in their areas - if you're snowbound too, send us your photos for the gallery and we'll post the best online. Tip: Stuck at home and want to find out how others are faring with the weather? Try a Twitter search on #uksnow.